This week, the world got a little less beautiful. 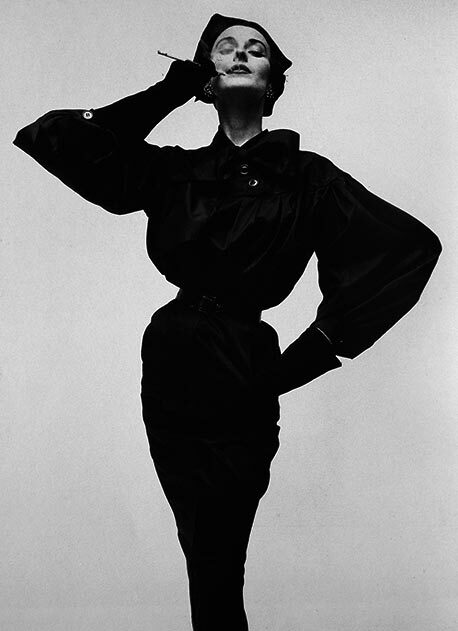 Irving Penn left us at the age of 92. High impact, striking images - a Penn trademark. While dubbed a fashion and celebrity photographer, Penn photographed everything from frozen vegetables to the people of tribal cultures. What Penn brought to the likes of Vogue and Harper’s Bazaar – and ultimately to us – was a clarity of vision. His compositions, regardless of subject, were always flawless. He was one of the first photographers to use a simple backdrop of white or grey, often shooting his subjects in awkward spaces and angles. Drama at every angle, as captured by Penn. While he predominantly shot in black and white, his colour photographs render the same crisp, clear composition. Star Wars couture, catalogued by Penn. His Vogue cover in May, 1947 is clean, simple and has an air of mystery. The May, 2004 Vogue cover with Nicole Kidman is one of the magazine’s most memorable, capturing the same feeling 57 years later! The gold of the earlier cover is echoed in the recent version’s title colour, the dip of the backless dress recalls the oval mirror in the earlier. The hair is similar, albeit more dramatic in the recent version and could Kidman’s silhouette be the bottle on the dresser in the 1947 cover? Only the shadows know for sure. Every single image speaks volumes. The drama of this sleeve, perfectly documented by Penn. We’ll be seeing you, Mr. Penn. Our hats tip to you and the beautiful image of the world you left us with. All photos by Irving Penn. Photo sources: 1. Bee, 2. Cream, 3. Lisa, 4. Dramatic Angles, 5. Yves, 6. Magic Makeup, 7. Star Wars, 8. 1947 Vogue, 9. 2004 Vogue, 10. Cocoa dress, 11. Umbrella, 12. Coat, 13. Mascara, 14. Picasso, 15. Veil, 16. Hat, 17 Mr. Penn. So happy I came across your blog, it is great! 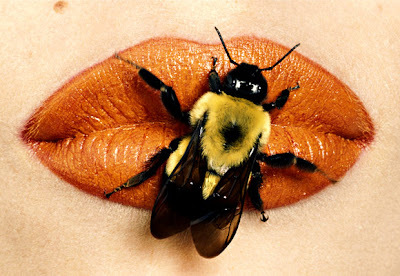 Irving Penn will definitely be missed but his images/work will live on – great selection for this post!